CHICAGO (WLS) -- A 3-year-old boy is in the hospital after a van hit him on Chicago's Southwest Side. 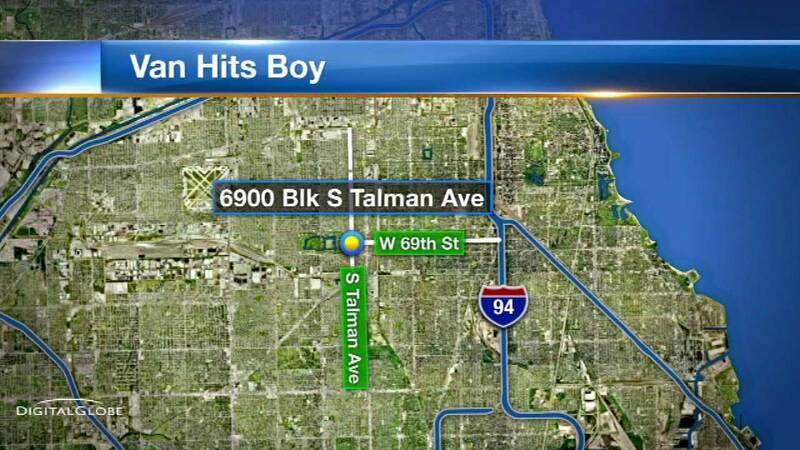 Police say the boy was chasing a dog when he ran between two parked cars Tuesday night in the Chicago Lawn neighborhood near 69th Street and Talman. A van hit him. But officers say the 36-year-old driver will not be ticketed. The boy is in critical condition.